This logo is going to be an acronym for a band (Pulitzer Prize Fighter). We play a mix of RnB and Pop/Emo music. We hope this logo will convey a sense of fun and savvy, while also appearing laid back. It should feel modern while at the same time feeling deeply rooted in influences of the past. However, the logo shouldn't be defined by it's colors; it should theoretically convey this sentiment even in stark black and white (or any color combination for that matter). 3. 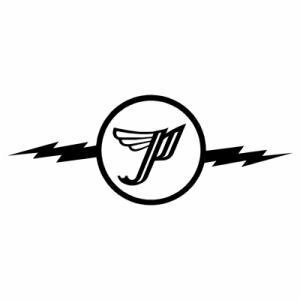 The Pixies Logo, much like the Weezer logo is instantly recognizable to it's fans. The font of the 'P' has been used on most of their albums allowing for continuity album to album. 4. The Flyers logo has a retro look/color combination while also seeming modern and hip. 5. The Montreal Expos logo has the same type of elements as the flyers logo. Bubble letter style of the 70's/early 80's with older script styling.